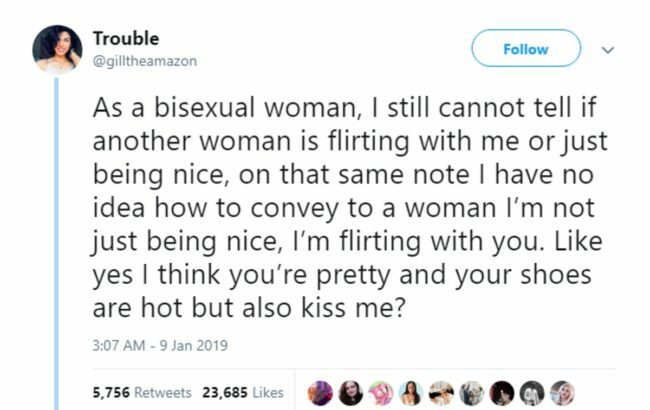 A bisexual woman has gone viral by highlighting one of the eternal struggles queer women face while dating. The post has attracted around 30,000 retweets and likes. There has also been a tsunami of messages from other queer women who have difficulty conveying their attraction or working out if someone else is flirting with them. Bisexual women wrote posts like “story of being BI 😩😭” and “bisexual problems😞” to show the original poster that she wasn’t alone. And there were also those who quote-tweeted the viral post while calling out a subject of their attentions. Unfortunately, the fun was interrupted by one group this viral tweet was distinctly not written for: straight men. After replying to some of the many tweets sent by men who wanted to use her viral post to back up their points about women being difficult to flirt with, the original tweeter spoke to all straight men. “I will literally only say this once more: women are confused because it is our CULTURE to compliment each other in bars, at parties literally everywhere,” she said. 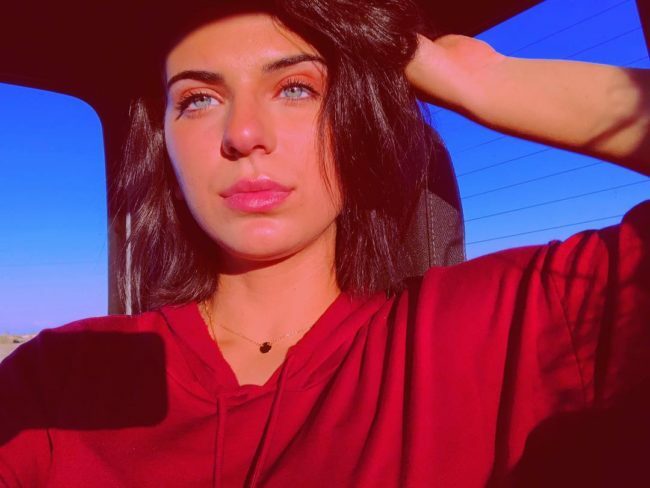 Speaking directly to one of the men, she wrote: “I can’t tell a woman is flirting with me because women’s culture is to be inherently KIND to one another and compliment each other.